Forage Harvester Shipping Services in All 50 States! Tractor Transport has garnered a reputation from our clients as one of the most dependable and versatile hauling services around. Talk to Tractor Transport to ship your forage harvester anywhere in the US, Canada or Mexico. Depend upon us to ship your forage harvester where you want it, when you want it. Talk with one of the experienced logistics professionals at Tractor Transport today, (877) 373-0109. Choose Tractor Transport to Haul Your Forage Harvester! Forage harvesters cut plants, like grass or corn, to make into silage for livestock. Harvesters reap the plant material, then disperse it into an accompanying wago. Harvested forage is stored in oxygen-free silos to ferment before feeding. Cylinder, or drum, harvesters shear off plants by catching them between steel tines and a metal plate. Flywheel harvesters use the same method in a spinning motion. 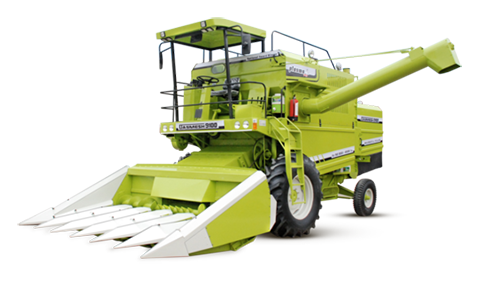 Other types of self-propelled harvesters include sugar-cane harvesters, potato harvesters and rice harvesters. Choose Tractor Transport to ship your forage harvester. Self-propelled forage harvesters usually travel as an oversize load. An RGN or a lowboy trailer work the best, because you can drive the machine aboard. Sometimes you’ll have to remove your harvester’s wheels to get within width restrictions. 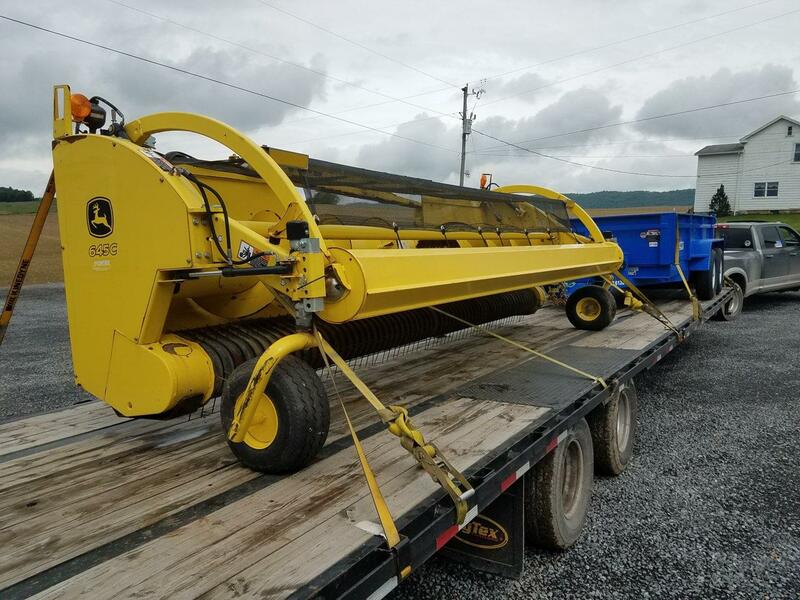 Pull-type harvesters usually are shipped aboard step-deck trailers or RGN trailers. Most step-deck trailers come with ramps that allow you to drive your smaller harvester aboard. The incline to drive aboard a step deck trailer is greater than the incline on an RGN trailer or lowboy lowboy, which limits the size of the equipment you can ship on a step deck trailer.